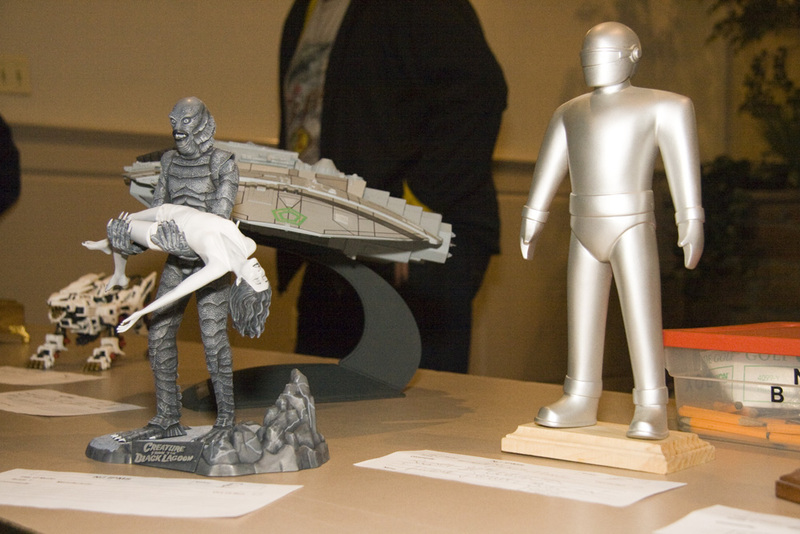 The November 2014 meeting was all about Sci-Fi. This is the third year in a row that we’ve had an either all science fiction themed night, or a movies and television theme, and the turnout has been amazing at all three. Obviously we all want a break from the military every now and then to do something a little different and with a little color. Lots of entries on the table, and after dividing them all up into either the Vehicles class or the Figures class, the top two entries were a Brittania II and a Predator bust. Outstanding work by all the participants (judging the winners was NOT easy). December 12th we’ll be at the same place, the same time, for the Christmas party. Dinner will be served at 7:30. See you all there.